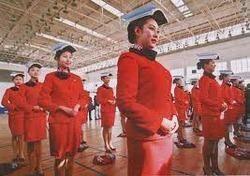 Training is a continuous process in every firm and it is a must for the present spinning world. development of manpower towards organization requirement is the process required to update all technical / Administrative / Statutory matters for the best recruitment to the related area yield results. - To become a central academic resource for students in the area of education and prepare them to appreciate the diverse society that we live in. Health is both physical and mental. A little effort to open the channels of communication with your furry friend will make sure you both understand each other and bond better. We have on our board a certified trainer and behavior specialist who will help you with the behavioral aspects of your pet. Social and Behavioral Health is the branch of Public Health that deals with the common analysis and processes of the human behaviors on changing perspectives. Social Behavioral Health is concerned with the relational concepts and perspectives. We have gained recognition as an eminent enterprise, devotedly engaged in providing Behavior Based Process Training. 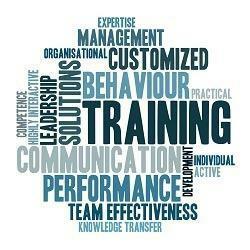 Behavior Based Process Training is a process that focuses on behavior related to how they work. It encourages people working in any organization or industry to be safe and to work safely. It also helps them in identifying what are “safe and “at risk behaviors. We Blue Sky Management Services is engaged in providing total management solutions to our client. Solution includes consultancy and training activities. We have been associated with many expert and experienced trainers having years of experience in providing various trainings to small scale to corporate organizations. effectiveness & productivity through continuous self awareness and learning. Knowngrow is a Chennai based Training organization / Institute provides Behavioural Training which is designed according to the needs and objectives of the organisation and the participants. All our courses are highly experiential and participative with a high emphasis on application and practice of learned skills. Executive coaching and training is an experiential and individualized leader development process provide by The Chrysallis in India with expert Professional Coach and Trainer.